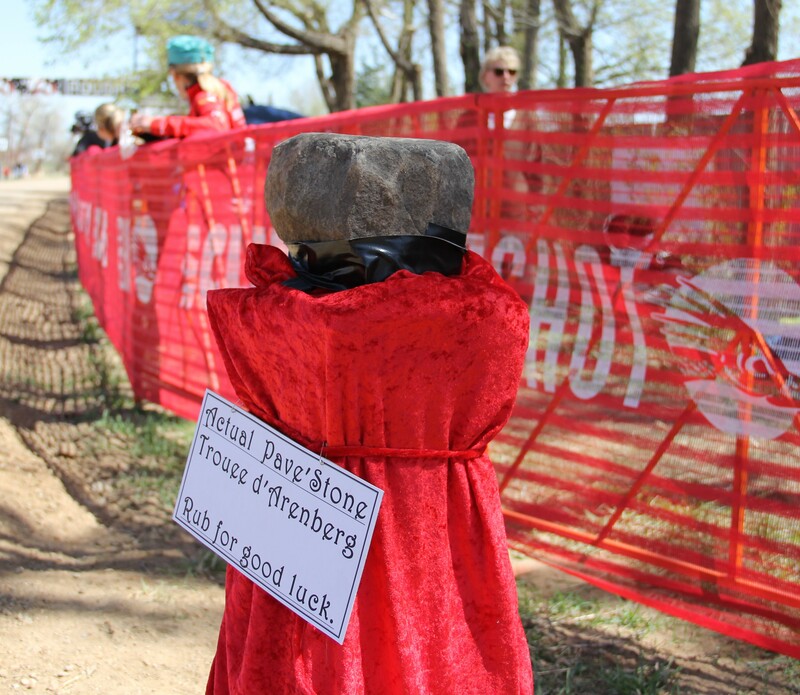 As this is the season of cobblestones for pro-cycling, the Classics lead off favorite cycling quotes from last week. The theme of style follows, featuring Taylor Phinney and Peter Sagan. “The Tour of Flanders is more than a national holiday for us. It’s one of the most important days in Flanders in the year.” Flanders Classics event coordinator Stijn Vermoere, speaking to VeloNews in an interview about cyclosportives that give the public a chance to trace the routes of Classics like the Ronde van Vlaanderen. “Cancellara will be hard to beat at Paris-Roubaix, but you can’t go into a race thinking you’re beaten already.” Sylvain Chavanel (Omega Pharma-QuickStep), speaking to Cyclingnews about racing against Fabian Cancellara (RadioShack-Leopard-Trek) this coming Sunday at Paris-Roubaix. Even for a rider like Geraint Thomas (Sky) who thinks he can win a cycling “monument” like the Tour of Flanders after having focused on the race for months, results can still slip through his fingers. “It was five-and-a-half hours of concentrating, being in the right place at the right time but it can all go in 10 seconds.” Geraint Thomas speaking to the U.K. outlet CyclingWeekly about his Ronde van Vlaanderen experience; he crashed during the race and expended a lot of energy chasing back onto the lead group. Before he became famous for pinching a podium girl’s behind at the Tour of Flanders on Sunday, Peter Sagan (Cannondale) was better known for his displays on the finishing line. Like wheelies. It turns out not all pro-cyclists can balance on one wheel. “If I could do a wheelie, I would do it as well. 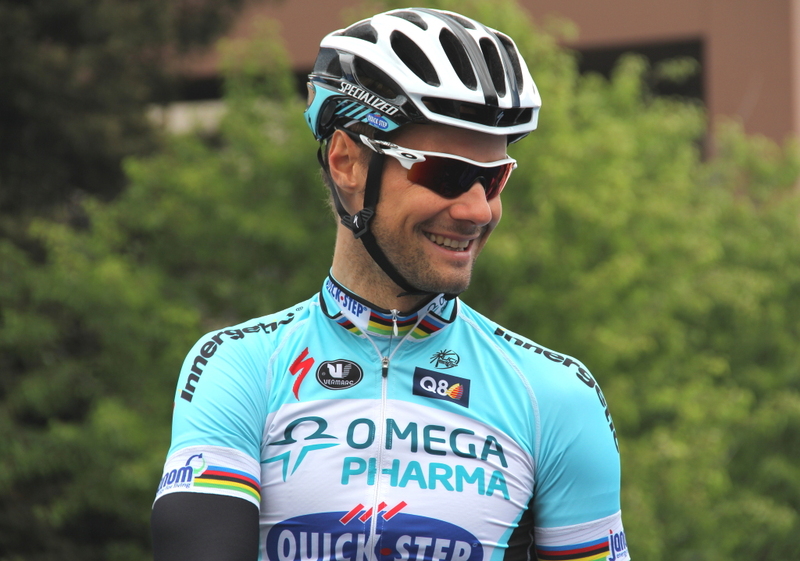 I dream about it sometimes, that I’m very good at it, even if I’m not.” Tom Boonen in a CyclingWeekly interview about racing against Sagan. Taylor Phinney (BMC Racing Team) should start Paris-Roubaix this coming Sunday. But he’s most recently received media attention about launching a fashion line with the Italian designer Dolce & Gabbana. As reported in VeloNews, the fashion line products are to include a signature perfume and watches. The story details the watch design with a large face: “The signature model, the ‘T,’ will include a bi-directional rotating bezel, which can be used to figure simple mathematical equations such as watts per kilogram and lactate threshold.